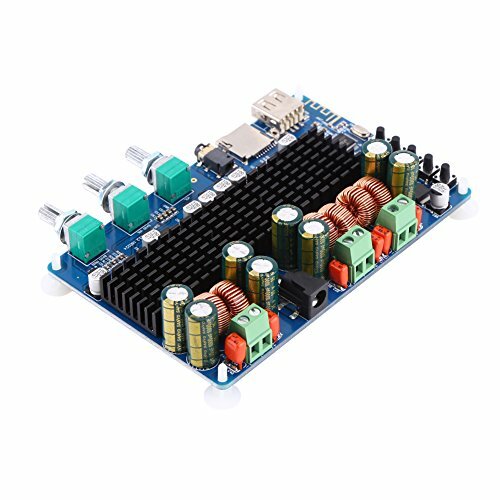 This is an audio power amplifier board that strengthens low-power, inaudible electronic audio signals such as the signal from radio receiver or electric guitar pickup to a level that is strong enough for driving loudspeakers or headphones. Power amplifiers make the signal audible to listeners. It is the final electronic stage in a typical audio playback chain before the signal is sent to the loudspeakers and speaker enclosures. Size: 124 x 80mm / 4.88 x 3.15"